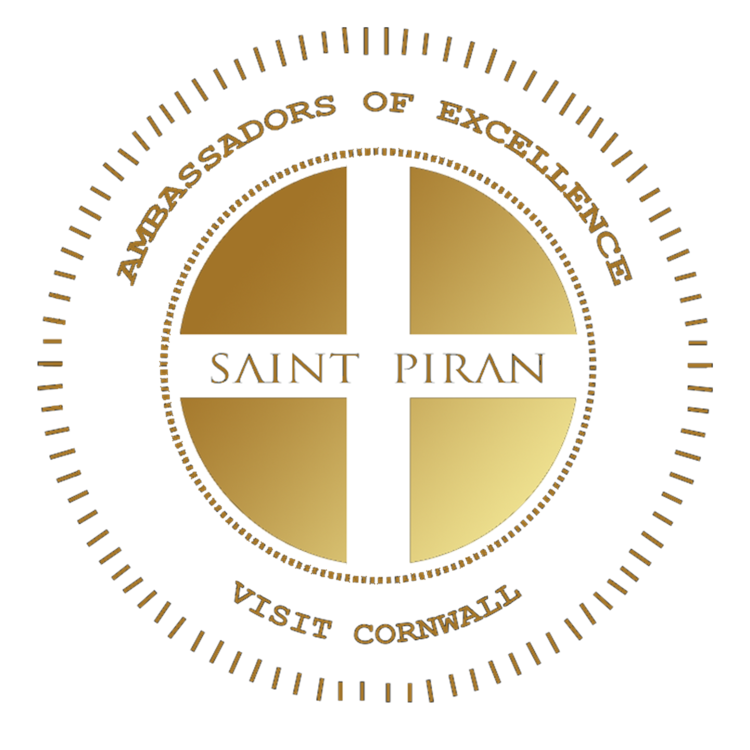 SAINT PIRAN HAS JOINED FORCES WITH VISIT CORNWALL ON WHAT IS SET TO BE A TRULY INNOVATIVE PROJECT. THE FUNDAMENTAL AIM OF THE partnership IS TO HELP GLOBALISE EXCELLENT CORNISH BRANDS. THE By PRODUCT WILL CREATE A SUSTAINABLE REVENUE STREAM FOR SAINT PIRAN OVER THE YEARS. VISIT CORNWALL HAS SELECTED A SMALL NUMBER OF ICONIC LOCAL BUSINESSES TO HELP PIONEER THE PROJECT. THESE BUSINESSES WILL BECOME RECOGNISED FOUNDER MEMBERS OF BOTH SAINT PIRAN, AND THE SCHEME TO PROMOTE EXCELLENT CORNISH BRANDS INTERNATIONALLY. visit cornwall will be facilitating all corporate SPONSORSHIP for the team, please contact rICHARD pASCOE ON RICCI.PASCOE@SAINTPIRAN.CO.UK for further details. The ambassador seal of excellence is available to any company or organisation. It may be used in conjunction with any form of marketing or packaging to further promote the partnerships of SAINT PIRAN. Kim Conchie has been a substantial supporter of SAINT PIRAN since it’s inception, lending both advice and positive encouragement to the team, it’s riders and ethos. Richard Pascoe, Team Principle, states “Not only has Kim provided the direction and energy needed to establish an exclusive Cornish brand but personally set aside time to assist myself for which I am very grateful”.